MSN IAB Filmstrip Ad spec - Nine Entertainment Co. Direct Interaction (On Click) – There are predefined areas at the top and bottom of the panels that allow the user to click to move to the next panel. It is recommended that there be a clear call to action message to the user in these spaces. Scroll (On Mouse or Browser Scroll) – As the user scrolls down the web page the IAB Filmstrip will automatically move to the next panel of the creative if they have not interacted with it previously. 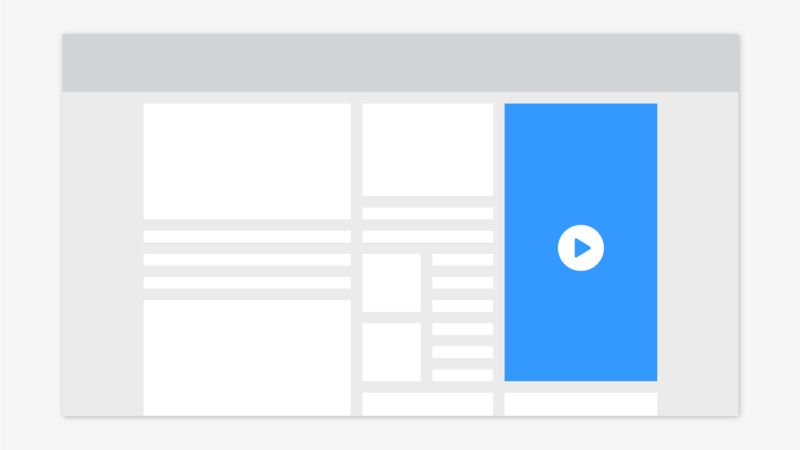 To ensure a clean understandable user interaction, the IAB Filmstrip only scrolls one panel per page. Sequencing (Repeat Visits) – Any return visits to the site will auto scroll the IAB Filmstrip to the next sequential frame. IMPORTANT: Click here to open the most up to date specs on the Microsoft creative specs page - from there, you can click on the "IAB Filmstrip" spec link under the "MSN Display" section. It is vital that you download the full spec sheet, the specs included below are purely for quick-reference.